In the 16 months since it was announced, Windows Autopilot has revolutionized the way Windows devices are configured and deployed. Leveraging Microsoft’s cloud technology, Autopilot allows you to set up and pre-configure new Windows 10 devices while eliminating the cost and complexity associated with mass deployments. Prior to Autopilot, the standard procedure for such deployments involved building or capturing images in SCCM or MDT, then carefully planning how to deployment across your specific environment. The standard manufacturer images were viewed as disposable, representing only the beginning of the tedious imaging process. Today, right out of the box, with no imaging and virtually no infrastructure, Windows Autopilot can complete your deployments. The days of computer labs with a sea of devices strung together by tangled cables and power cords are gone. How, you ask? First, OEMs like Dell or Lenovo register purchased devices with the Windows Autopilot service, so you can assign the necessary Windows Autopilot profile. This profile defines the Out of Box Experience (OOBE) for that device. Autopilot can also be used to quickly recover existing devices. These devices can also be recycled within the environment using Autopilot’s reset functionality. Devices are automatically joined to Azure Active Directory (Azure AD). Administrator account creation can also be restricted, eliminating a host of security issues. 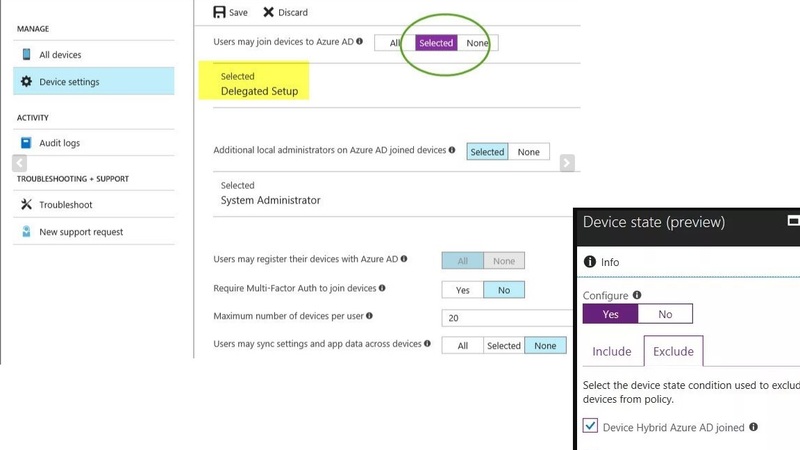 Devices are automatically enrolled to MDM services with an Azure AD Premium subscription. Here, you can leverage Microsoft Intune to manage both your device and the applications assigned to it. You can create and auto-assign devices to configuration groups based on each device’s profile. The end-user unboxes and turns on a new device. From there, they select a language and keyboard layout, then connect to the network and provide their corporate email address (for the user’s Azure AD account) and their password. The device then has to be registered by a prepopulated CSV containing the hardware ID’s. Microsoft has enabled OEMs and hardware vendors to integrate their supply chain and fulfillment systems with Windows Autopilot programmatically. This enables your hardware vendor to automatically register devices into Windows Autopilot as part of your Windows 10 device order fulfillment. With this automation, there is no action required from IT to register newly purchased Windows 10 devices into Windows Autopilot. Lenovo and Surface have already automated their supply chain into Windows Autopilot, and Microsoft is actively working with Dell, HP and other OEM partners to deliver this simplicity in coming months. Windows Autopilot for existing devices. This solves the problem of repurposing Windows 7 machines that so many have experienced. You can now use System Center Configuration Manager to take your existing devices from Windows 7 to Windows 10, configuring them so that they go through the normal Windows Autopilot user-driven deployment process once booted into Windows 10. These new features were an evolution of those announced earlier this year. They will be available in Windows 10, version 1809 (also referred to as the Windows 10 October 2018 Update. Windows Autopilot is most definitely the future of automated provisioning and deployment for Windows environments. It’s an incredibly empowering tool that will change your fundamental IT processes forever by simplifying Windows 10 deployment and management – powered by Microsoft 365.